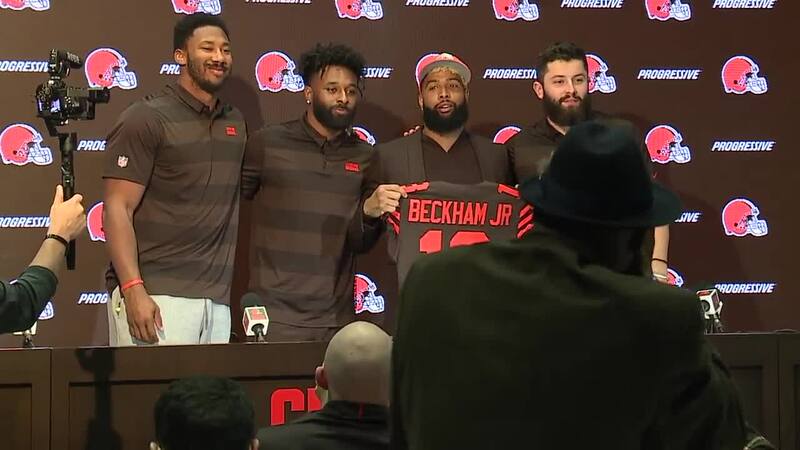 BEREA, Ohio — The Cleveland Browns are back in Berea to start off season workouts at the team’s facility and the team is holding a media availability on Monday. 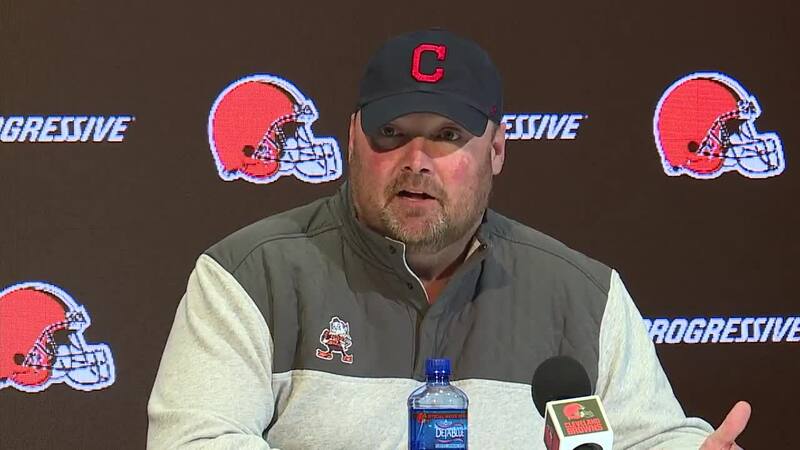 Head coach Freddie Kitchens spoke to the media at around 1:30 p.m., followed by several players taking the podium, including Baker Mayfield, Jarvis Landry and the much-anticipated introduction of Odell Beckham Jr.
Watch both parts of the news conference in the video players above. Beckham was seen inside the facility talking with his fellow teammates.